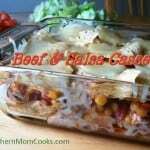 Beef and Salsa Casserole for Cindo de Mayo! No too spicy for little kids, but Mexican enough for Cinco de Mayo! 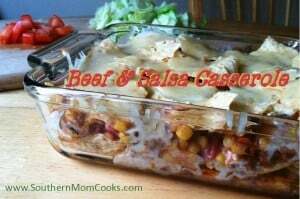 This beef and salsa casserole can be thrown together pretty quickly and can even be done ahead of time! Cinco De Mayo (5th of May), commemorates the victory of the Mexican Militia over the French Army at The Battle Of Puebla in 1862! 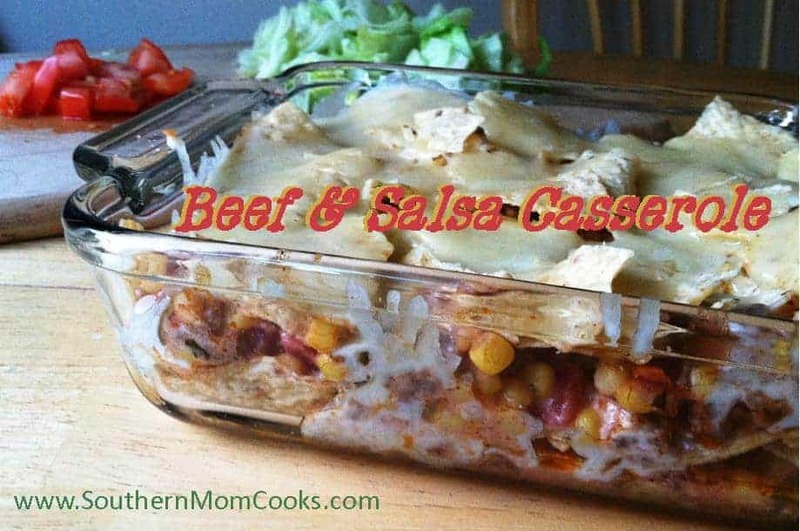 This beef and salsa casserole can be thrown together pretty quickly and can even be done ahead of time! In a large skillet over medium heat, add the beef, seasoned salt, chili powder and black pepper. Brown the beef until fully cooked and then drain off the fat. Add the corn, mayonnaise and salsa and stir to blend. Using a 2 quart casserole dish, layer the ingredients, distributing evenly, as follows. Serve immediately with chopped tomatoes, shredded lettuce and sour cream if you’d like. Delicious way to celebrate Cinco de Mayo and just for regular dinners. That looks and sounds so delicious!!!!! This recipe sounds DELISH!. I will definitely try this out for Cinco de Mayo. Sounds delicious and perfect for Cinco de Mayo. I’ll have to check it out.